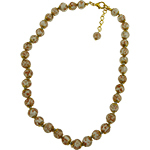 This is an 18 inch necklace featuring 3 strands of soft supple suede and an authentic Venetian Glass bicolor Pebble bead. A Swarovski Crystal forms the dangle. 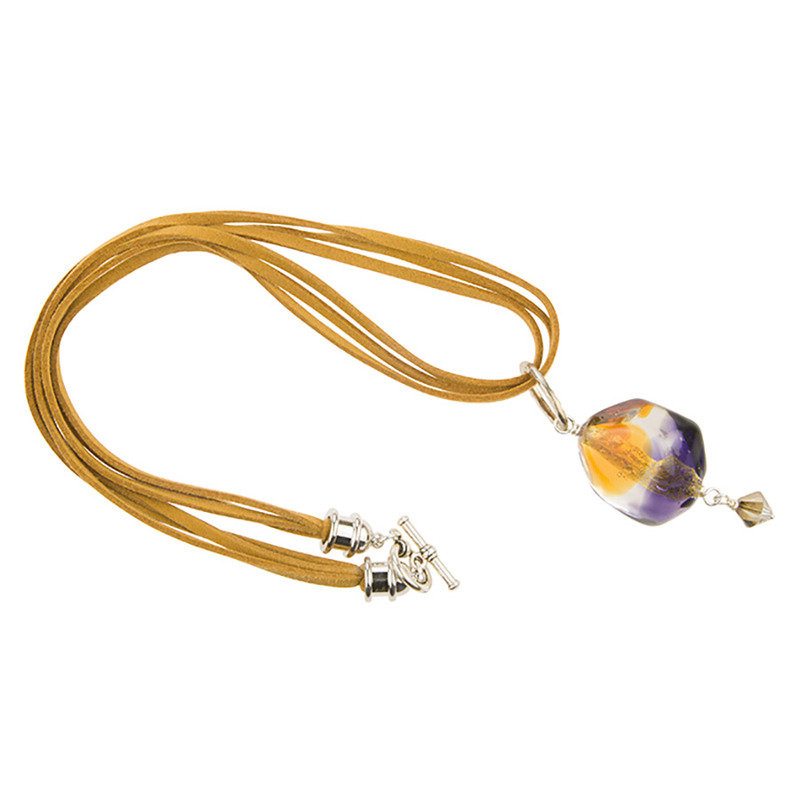 The bead features a base of 24kt gold foil layered with topaz and a deep purple tones encased in clear Murano Glass.